MS Outlook often returns errors which on first look seem annoying and difficult to counter but these errors are not that difficult to fix. You can fix outlook errors in no time by following simple procedures. In this article I am explaining the cause of MS Outlook error 0x800ccc0f(The Connection to the Server was Interrupted) and how to resolve 0x800ccc0f error to get Outlook back to normal. Now you know the reasons which causes this error, In the next section we will learn how to resolve 0x800ccc0f error. 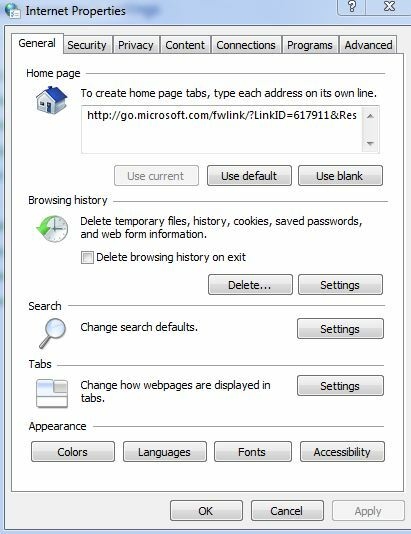 Disable Windows Firewall and Antivirus: Disabling Antivirus sometimes do the trick as antivirus programs blocks some unwanted email while send/receive service is running. Start Outlook in Safe mode :In safe mode Ms Outlook runs with only basic settings disabling any add-ins and plugins installed. 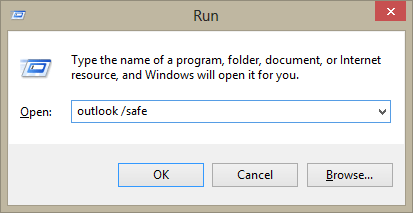 To run outlook in safe mode type outlook.exe /safe in search box and click ok. More safe mode options are described in details here. 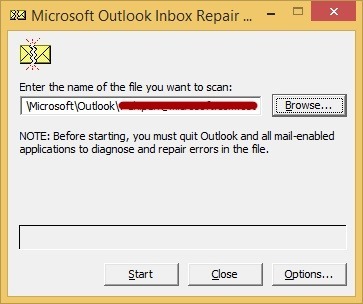 Run Inbox Repair Tool (Scanpst.exe): If the steps mentioned above are not able to solve the issue there is probability that the Outlook data file (pst) is corrupt and you need to repair the pst file with inbuilt repair tool also known as scanpst.exe or with some third party paid utility. The steps to repair pst file with inbox repair tool are mentioned here.